​Traditional cough mixtures are formulated around a syrup at 60 - 75% concentration which is made from sucrose, maltodextrin, glucose, invert syrup, etc. The remainder is made up of thickening agents, stabilisers and active ingredients. Dissolving of the sugars to form a syrup. Blending ingredients of widely different viscosity. Suspension or dissolving of active ingredients. The end product must be smooth, agglomerate-free and homogeneous. Equipment should conform to GMP standards. Conventional agitators cannot dissolve high concentrations of sugars at ambient temperatures. Heating of the mixture will be required to aid solution. This is energy inefficient. The cooling process after this further adds to costs and process time. Crystallisation of the syrup can occur during heating/cooling. Active ingredients can be damaged by heat. Thickening ingredients will form agglomerates which conventional equipment cannot disperse. 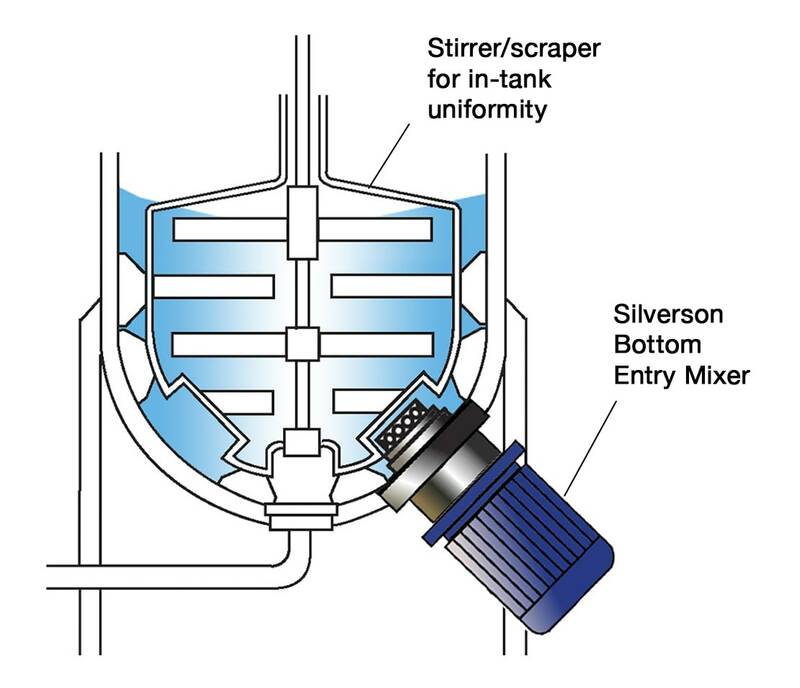 These problems can be overcome by using a Silverson High Shear mixer. 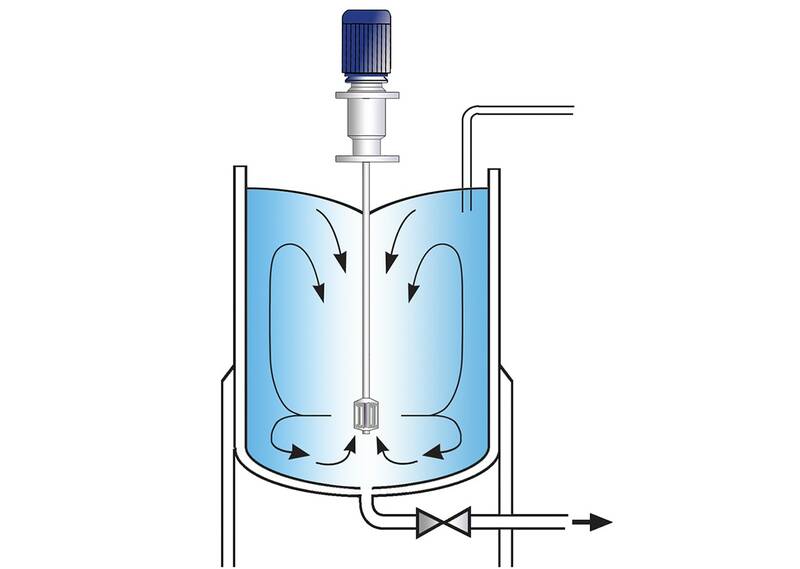 The 3 stage mixing cycle illustrated below allows the sugars and active ingredients to be dissolved at ambient temperatures. The vessel is charged with liquid and the mixer is started. The powdered ingredients are added without prior heating of the liquid. The high speed rotation of the rotor blades creates a powerful suction which draws liquid and solid ingredients into the workhead and rapidly mixes them. The high shear action of the mixer rapidly breaks down the sugar granules in the gap between the rotors and stator wall, exposing the largest possible surface area of sugar to the water. This greatly accelerates the solubilisation process. The active ingredients are similarly reduced to a low particle size and fully dispersed into the surrounding liquid. As the product is forced out through the stator, fresh powdered and liquid ingredients are drawn into the workhead and processed as before. 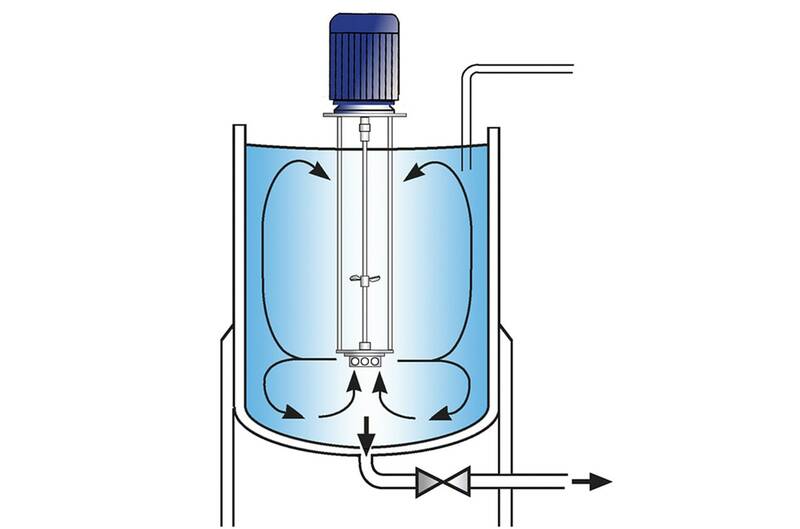 A circulatory mixing pattern is set up within the vessel, ensuring all material is passed through the workhead many hundreds of times. This rapidly creates a very fine and stable suspension. 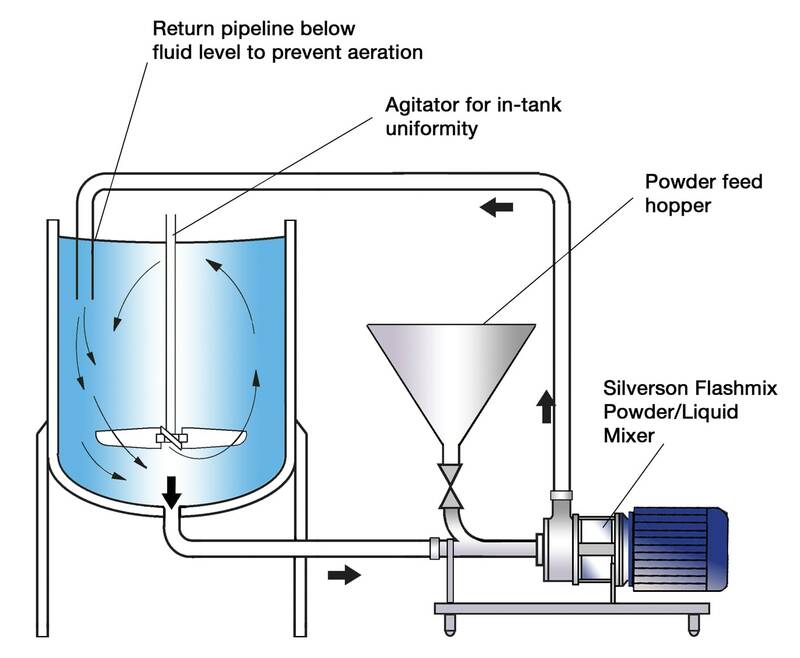 A Silverson high shear mixer can produce 66% sucrose syrup at ambient temperature. The heat of dissolution is imparted in the form of shear. Consistent product quality and repeatability is obtained. An agglomerate free mixture is produced. 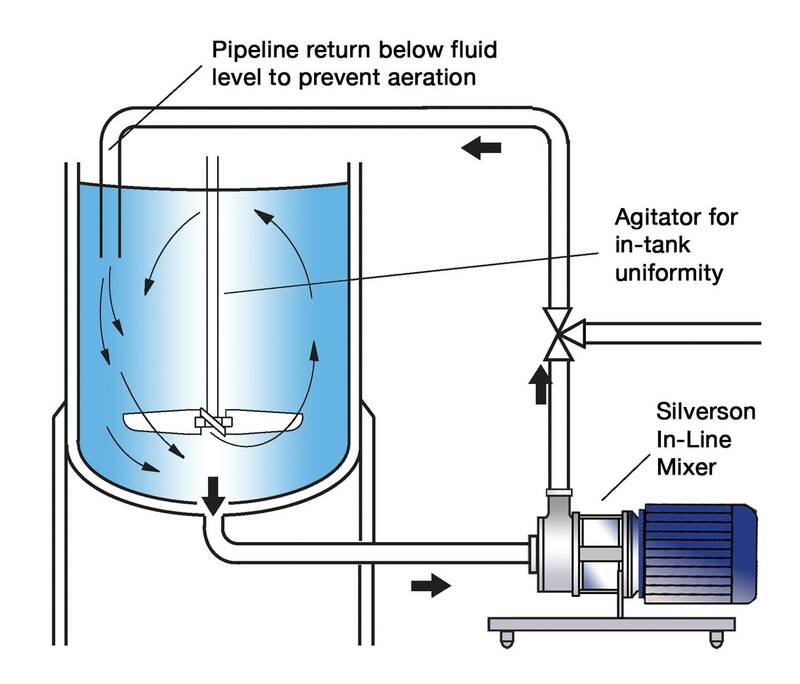 The batch size, formulation, type of ingredients and the viscosity of the end product dictate which machine from the Silverson product range is best suited to individual processing requirements.